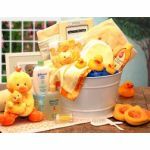 Welcome new baby home with a gift basket from our baby spa collection. 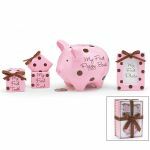 There are baskets for girls, boys and even mom to be. 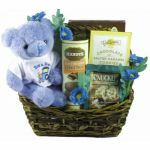 Gift baskets are filled with fun welcoming gifts that would be great for any new baby. 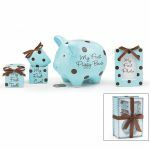 These baskets would be great for any baby shower as well, show the new mom you are thinking of her with a spa basket for her new baby. 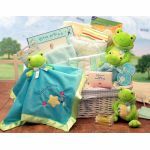 "Deluxe Welcome Home Precious Baby Basket - Available in Pink, Blue or Teal/ Yellow"
"Just Hoppin Around Baby Hamper - Large Available in Little Prince/Blue or Little Princess/ Pink themes. " 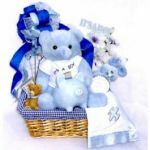 "Sweet Baby of Mine New Baby Basket Available in Girl/pink or Boy/ Blue"